The Difference Between an Average Business Plan and an Optimized Business Plan Is Usually the Difference Between Success and Failure. Do you need a business plan writing service to obtain venture capital or maximize the efficiency and profitability of your business? A first-rate custom business plan eliminates costly trial and error, enables your business to stand out from the crowd, and provides the very best road map for success. Our custom business plans are designed for clients who need a winning investment plan, strategic business plan, feasibility plan, growth plan, operational plan, annual plan, internal plan, or even a new product plan. We have enabled clients to raise more than 3.5 billion dollars from venture capitalists, angel investors, private equity firms, banks, corporate and strategic investors. 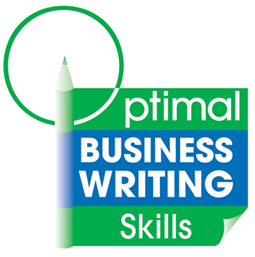 Our optimal thinking business plan writers are MBA-educated senior level corporate executives who have deep expertise in capital formation, corporate finance, legal issues, operations, and marketing. These seasoned business plan consultants create custom business plans that address the subtleties and critical success factors to best achieve local and global strategic business objectives. Our senior consultants have personally grown and scaled hundreds of companies from startups to Fortune 100. We assign at least three seasoned executives to every client engagement. An optimal custom business plan shapes your ideas, maximizes your current resources, and presents the best options for success. If you are starting, turning around, or acquiring a business, your business plan must provide the optimal road map, based on expert analysis, to entice investor funding and ensure stakeholder buy-in. Our experienced consultants deploy our proprietary methodology, developed over 27 years, to create unique optimal business plans. We do not betray the trust our clients have bestowed on us and undermine their competitive advantage by publishing samples. Beware of these three red flags. It doesn’t matter whether you are a startup business, mid-sized organization, non-profit organization or multinational, you will receive a supremely crafted business plan targeted to the recipient in their specific industry jargon. Business plan services that deploy software, templates and inexperienced MBA graduates can provide guidelines, but their cookie cutter solutions are usually rejected by sophisticated investors. These investors seek unique winning solutions that set your business apart from all others. Our business optimization writing experts understand how to delight lenders and investors and communicate with them to achieve the best results. Because we like to sleep well at night, we only write business plans that we believe are likely to succeed. We will not accept your money or your business if we can’t stand behind your plan. That’s why our business plan service has consistently outperformed the national average for investor funding for 27 years. Employing Optimal Thinking, we ask the most incisive questions to determine how to best present an irresistible offer. We collaborate with you to ensure that every section of your plan is realistic, accurate, best presented, and completed on time. We provide you with detailed spreadsheets and will conduct comprehensive primary and secondary market research as needed to validate the requirements of your optimum business plan. With 27 years of experience writing business plans, and clients including the U.S. Treasury, Warner Bros., National Australia Bank, Johnson & Johnson, Air New Zealand, BP, Young Presidents’ Organization and the U.S. Army, you can be certain that your business interests are in the hands of a trustworthy, reliable company. If you wish to have an existing business plan evaluated, look no further. We will analyze your business plan, and provide you with recommendations for optimization. This service does not include writing or editing your business plan. Our MBA-educated senior business consultants and graphic artists work hand-in-hand to provide you with a customized, immaculately crafted Powerpoint investor pitch deck. Is Our Business Plan Writing Service For You? Take the Quiz? Monday to Friday, 8:30 am - 5:00 pm PT. 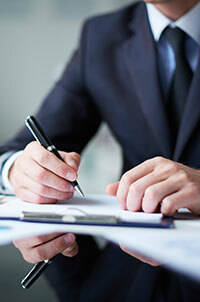 Be prepared for a very thorough analysis of your business by this very capable business writing team. They caught many errors we had overlooked. We could not have been nearly as successful without them. This business writing team led us through all the steps smoothly to compile a winning business plan. We received $2.1 million in funding from venture capitalists. Great communication and very experienced at their craft. I was referred to this company through my CMO who had been coached by Rosalene Glickman. We hired the writing team to produce a business plan for a company we just purchased. We are very pleased with the end product and the delivery process. Exceeded expectations. The team provided me with a business plan that enabled me to get even more funding than I wanted. This is a first class business writing operation. Super professional executive team. Great market research. Their focus groups gave us an unforeseen huge competitive edge. Very fair pricing and worth every cent. "The future belongs to those who bring their best to the present."